Cute 2 Story home in rural Pennsylvania. This home features a great room that boasts a living room with brick fireplace, dining area with sliders to the nice wrap around deck, country kitchen with Corrian countertops, master bedroom with walk in closet, large master bath with a shower plus a jetted tub. The lower level has 2 more bedrooms, a full bath, laundry room and a 1 car garage. 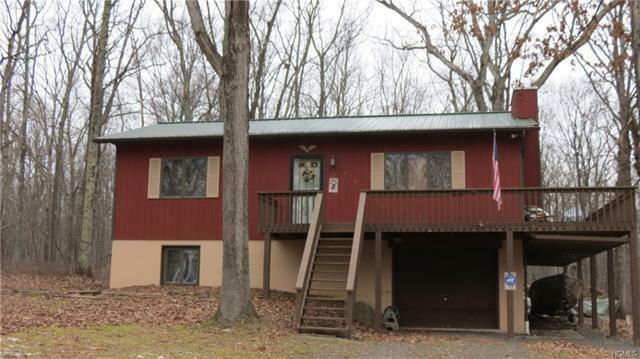 The lovely 3+ acres consists of 2 parcels and is mostly level and lightly wooded. Set in a nice PA community with river rights to the Lackawaxen River. A must see!